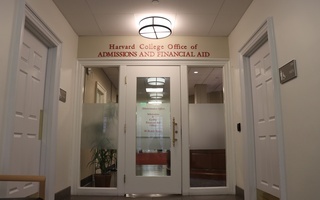 In November 2014, anti-affirmative action group Students for Fair Admissions filed its ongoing and contentious lawsuit against Harvard, claiming that the school’s admissions policies employ race-based discrimination against Asian Americans. SFFA seeks to remove all consideration of race and ethnicity from the college admissions process. In recent weeks, coverage of the lawsuit has spiked as new revelations about Harvard’s admissions practices have been made public, and with affirmative action now under attack from the Trump administration, the future of race-conscious admissions policies has become increasingly uncertain for educational institutions across the country. As members of Asian-American organizations at Harvard, we denounce SFFA’s attempts to undermine policies that seek to remediate the long history of racial inequalities in this country’s education system. In addition, we stand in solidarity with other communities of color to defend the need for diversity on college campuses. According to multiple surveys, our opinions align with the majority of Asian Americans in this country, who support affirmative action programs. SFFA’s claim to fight for fairness on behalf of Asian Americans must not distract the public from its leaders’ pursuit of a policy agenda that is ultimately a zero-sum game for communities of color. 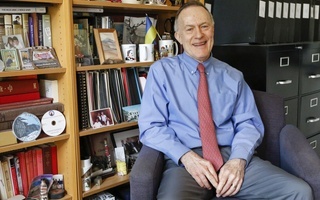 In the past, SFFA president and conservative activist Edward Blum has filed several lawsuits against the Voting Rights Act and worked as the legal strategist for the Fisher v. University of Texas case. SFFA has also filed lawsuits against the University of North Carolina at Chapel Hill and the University of Texas at Austin, arguing that admissions policies disfavor white students at those colleges. While the present complaint mentions the negative impact of Harvard’s legacy preference—which disproportionately favors white students and has an admit rate of over 33 percent—on racial minorities, it ironically does so only to argue in favor of race-neutral admissions. In arguing wholesale against any policy that takes race into account, SFFA seeks to undermine a program that has played a direct role in improving educational outcomes for disadvantaged minorities. As Asian Americans, we must realize that dismantling affirmative action only perpetuates a system stacked against non-whites, immigrants, and low-income communities. However, our firm support of affirmative action does not negate our disappointment with the College's admissions office for failing to address potential systematic prejudices against Asian Americans. Recent analysis of admissions documents suggests that College admissions officers may carry implicit racial biases when subjectively rating Asian-American applicants for “personal traits,” consistently scoring them lower on traits such as “likability,” “kindness,” and “positive personality.” Current information is ultimately inconclusive about whether this systematic depression results from the admissions review process or from other aspects of the application process, like teacher and counselor recommendations (or both). Regardless, SFFA’s filings also allege that the College has not yet taken corrective measures to dismantle these invalid stereotypes. While admissions officers receive cultural sensitivity training for certain racial groups, instruction regarding racial bias is noticeably absent for Asian-Americans. Therefore, we call on Harvard to provide stronger diversity training for admissions officers to identify and challenge such biases, whether they originate from the application materials or from the review process itself. An institution which seeks to support historically marginalized minorities should also dismantle negative biases towards Asian Americans. After all, supporting affirmative action programs and incorporating more nuanced approaches towards Asian-American applicants are not mutually exclusive endeavors. Widespread assumptions about Asian-American personalities also have implications beyond school. The view that Asian-Americans lack the ability to lead persists throughout professional spheres. Asian-American white-collar professionals are the least likely group to become managers and executives, despite, for instance, comprising the largest racial population of Bay Area tech professionals. While high Asian-American representation at any level should be applauded, such generalizations about Asian Americans prevent individuals from fully realizing their potential. The implicit racial biases in the college admissions process suggested by recent reports thus represent a larger issue of Asian-American stereotyping that depict the diverse group as too academically focused, one-dimensional, and impersonable. But personality is just one facet of diversity within the Asian-American community. Problems with the current system of affirmative action are also largely influenced by the tendency to view all Asian Americans as a monolithic entity, which has erased the complexity of the Asian-American experience. In reality, different immigration histories and profiles have led to markedly disparate levels of resources for different Asian-American ethnic groups, making Asian Americans the most economically unequal racial group in the United States. For example, the persistent evocation of the model minority myth conceals pressing issues of educational access and economic mobility within the Asian-American community itself. While Asian-American educational attainment is in general higher than that of the average American, Southeast Asian groups have among the highest levels of high school dropout rates (among the 281,000 Hmong in the U.S., 38 percent have less than a high school degree), leading Southeast Asian students to demand targeted educational interventions across the nation. Yet their efforts are regularly thwarted by assumptions that, as Asian Americans, they already possess sufficient resources for educational success. Such a simplistic and constrained understanding of Asian-American identity also erases the particular obstacles faced by other communities, such as the alienation of mixed-race Asian Americans, the hardships of undocumented Asian immigrants, and the intersectional struggles of queer Asians. The public narrative surrounding the Asian-American experience needs to acknowledge these distinctions. The 20 million Asian Americans in this country are engineers, doctors, politicians, lawyers, and computer scientists. They are gardeners, business owners, refugees, and cooks. They are musicians, writers, and artists. They are Harvard students and high school dropouts. They are leaders, followers, jokesters, athletes, and free spirits. No admissions officer, teacher, or guidance counselor should ever gloss over the diversity of these experiences. But SFFA and Edward Blum should take note: Asian Americans are not a tool to uphold white institutional privilege and divide communities of color. Let us oppose discrimination and lift each other up at the same time. Julie S. Chung ’20 is a Social Anthropology concentrator in Adams House. She is senior advisor and previous co-president of the Harvard-Radcliffe Asian American Women’s Association and co-chair of the Pan-Asian Council. 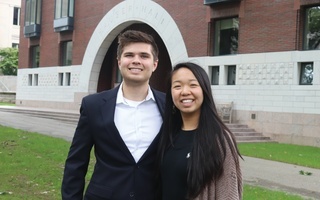 Alexander Z. Zhang ’20 is a Social Studies concentrator in Eliot House. He is co-president of the Harvard-Radcliffe Chinese Students Association and co-chair of the Pan-Asian Council. There is a significant portion of the Asian community who believes that people like me are getting the upper hand in college admissions.